Mr. Edwards (second from right) with group members (from left) Otis Williams, Richard Street, Melvin Franklin, and Glenn Beonard. DETROIT — Dennis Edwards, a Grammy-winning former member of the famed Motown group The Temptations, has died. He was 74. Mr. Edwards died Thursday in Chicago after a long illness, said Rosiland Triche Roberts, his longtime booking agent. Mr. Edwards was inducted into the Rock & Roll Hall of Fame with the rest of The Temptations in 1989. In the 1990s, a federal judge barred him from performing under his former band’s name. 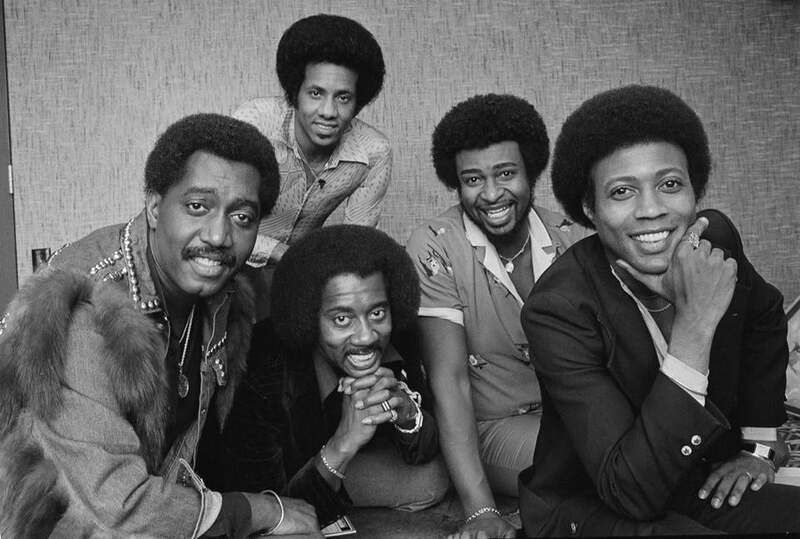 Otis Williams, the band’s lone original member, sued Mr. Edwards for trademark infringement after he had used variations that included ‘‘The New Temptations.’’ He was allowed to use ‘‘The Temptations Review featuring Dennis Edwards’’ and performed under that name for nearly two decades, Roberts said. Born in Birmingham, Ala., Mr. Edwards lived near St. Louis with his wife, Brenda.